As industries become more and more crowded, it’s becoming even more challenging for marketers to stand out and effectively represent their brands. What’s the solution? Well, if you ask today’s leading marketers, most would agree that neuromarketing has to be at the top of the list. The important distinction between this definition and the many others you can find on the internet is that neuromarketing does more than just study the human brain’s response to various branding messages and marketing techniques – it actually involves the adjustment of these messages based on feedback. In other words, successful neuromarketing not only studies how consumers respond to messaging, but it also requires brands to tweak and change messaging based on how they respond. As a result, neuromarketing is something that requires long-term discipline. In terms of internet marketing – and web design in particular – everything you do could potentially have an impact on your target users. From the individual colors you choose to the placement of a specific design element, anything can affect the perception of your value offering in the mind of your visitors. 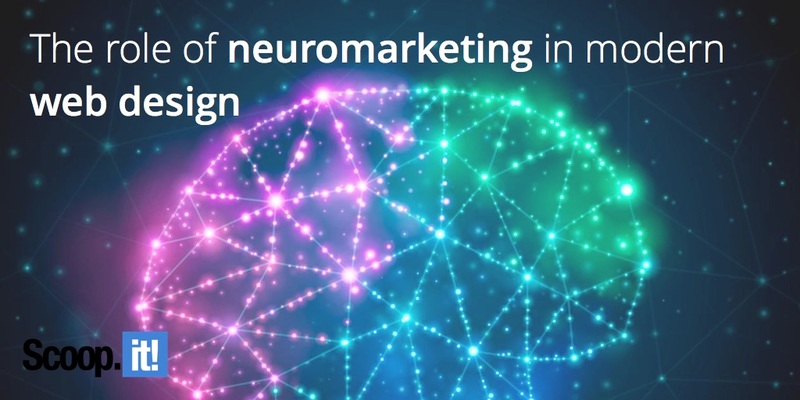 As a modern marketer looking to tap into progressive ideas and maximize the value of web design, it’s imperative that you begin leveraging some of the basic concepts and theories of neuromarketing. Don’t worry, you won’t have to invest in functional magnetic resonance imaging (fMRI) or electroencephalography (EEG) to measure brain activity. Instead, you can merely reference and use the powerful data that’s already been gathered and published. There is a powerful force in the world that scientists have dubbed “social proof.” This is the psychological force that tells an individual that a particular action is better since other people are doing the same thing. The rest of us call it “going with the crowd.” Regardless of the label you want to give this force, social proof is something you need to take seriously from a web design perspective. Social proof can take on many forms. McDonald’s likes to use its iconic signs to brag that it’s now served more than “X billion” customers. Night clubs restrict the number of patrons that can come inside because they know that lines make the club look more prestigious. Perhaps the most effective element of social proof is the customer testimonial. Customer testimonials are perceived as extremely valuable because they come straight from the mouth of an actual customer. Notice how this landing page from a national storage company uses the following testimonial with a name and headshot: ““I had a wonderful experience at US Storage Centers… I found the managers were extremely friendly and caring. And I liked that the facility was new and very clean. I highly recommend them.” It’s not necessarily the most eloquently written testimonial, but that’s why it works. It’s real – straight from the heart. You should be using as many elements of social proof as possible to make visitors feel comfortable and reassured. In fact, it’s nearly impossible to overdo social proof. More is almost always better! While we live in a world that’s vastly oversaturated with advertising messages, research shows that we do actually process advertising – even if the majority of this processing is done on a subconscious level. One psychological principle that supports the importance of ubiquitous branding for marketers is the Baader-Meinhof Phenomenon. This phenomenon says that when a person consciously recognizes something new – whether an idea, word, image, etc. – they begin to subconsciously look for it in other things. Confirmation bias then kicks in and people actually start to see that new thing more often. In terms of web design, you can use this to your advantage by using your brand’s logo more frequently – in blog images, email signatures, landing pages, headers, etc. As a result, you’ll encourage customers to subconsciously notice your logo in all of the other places where the logo is present. Did you know that specific colors elicit different emotions in consumers? This is why McDonald’s, Wendy’s, In-N-Out, and countless other fast food restaurants use the colors red and yellow. The color red makes people feel warm, comfortable, and hungry, while yellow is directly related to happiness and friendliness. The combination of these colors subconsciously encourages people to purchase food. When it comes to web design, you should carefully select your color theme according to your brand’s conversion goals. Begin studying color theory and you’ll notice that different tones and shades you use may elicit very unique responses. Pretty interesting, right? Maguire suggests overcoming the ambiguity affect by offering metaphors, making options easy to select, and using actual data points and statistics. The more you can make content digestible, the better the results will be. The human brain is a powerful thing. And while we like to think that everything customers do is logical and conscious, the reality is that much of the purchase process is influenced by innate, subconscious reactions to the world around us. From a web design perspective, it’s important that you understand this truth and unlock the power of the brain to increase conversions and drive sales.